The Guangzhou-Shenzhen-Hong Kong Express Rail Link (XRL) will open on 23 September, connecting Hong Kong to China's 25,000-kilometre trans-national high-speed rail network. This vast network offers direct trains to 44 destinations across the mainland, including six short-haul destinations in Guangdong Province, and 38 long-haul destinations such as Beijing, Shanghai and Changsha. Located just 10 minutes' walk from XRL's Hong Kong West Kowloon Station, and only two stops from Hong Kong International Airport via the Airport Express Link, sky100 Hong Kong Observation Deck (sky100) is the natural first stop for both inbound and transit visitors. Situated directly above Kowloon Station, sky100's superb accessibility makes it the perfect choice for kick-starting a Hong Kong adventure or as the final stop before continuing a multi-destination rail journey across China. 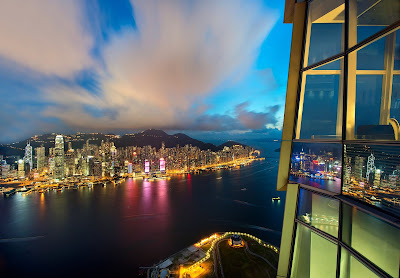 Upon arriving at sky100, visitors ride the fastest double-deck elevator in Hong Kong, reaching the 100th floor of Hong Kong's tallest building, ICC, in just 60 seconds. From a height of 393 metres, sky100 offers panoramic 360-degree views of Hong Kong. 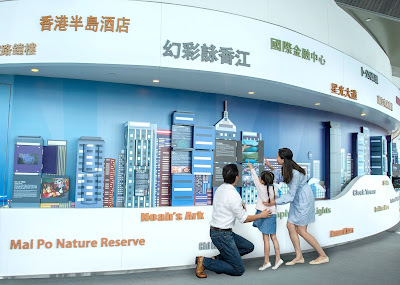 To bring this world-renowned skyline to life, sky100 has newly launched "sky100's Tales of Hong Kong", a 28-metre-long interactive story wall showcasing 100 fascinating stories with text, videos and various exhibits, enabling visitors to enjoy Hong Kong's skyline while also learning more about local tales, traditional craftsmanship and special customs. After visiting sky100, the exceptional location and connectivity enables visitors to reach many other places of interest with ease: walk to Jordan to experience authentic local culture, or take the train to Central and explore the artistic neighbourhoods in Mid-levels. All this and much more is within 15 to 30 minutes of sky100, so visitors can make the most of their time in Hong Kong.